Listing by EXIT Realty Lake Superior – 270 Dryden Ave, Sault Ste. Marie, ON. 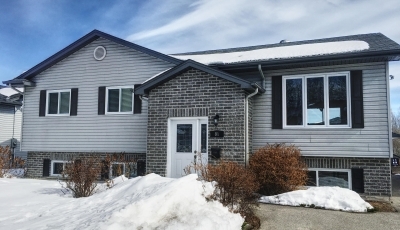 A 3 bedroom west end brick bungalow with a large 20×32 detached garage! The main level features a large eat-in kitchen, a spacious living room, three bedrooms and a 4 piece bathroom. The finished basement features a large rec room, storage room with the gas forced air furnace, and the laundry room. Outside you’ll find your dream garage, along with a large private back yard. Absolutely move in ready! Loads of updates including roof (2015) and furnace (2013)!